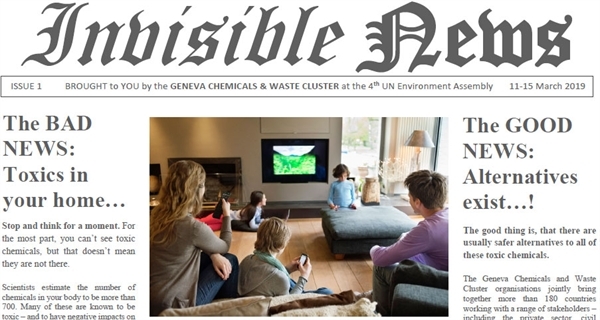 Read the invisible news - helping to make the invisible, visible! 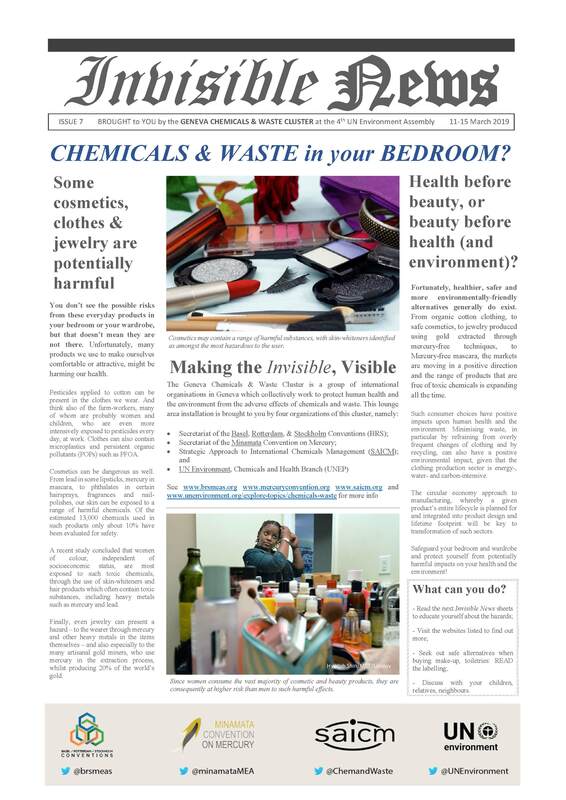 A special set of “newspapers” produced for the Fourth UN Environment Assembly (UNEA-4), in Nairobi, reveal the hidden hazards in everyday objects, and also the safer alternatives which exist for safeguarding your household, your health, and the environment. 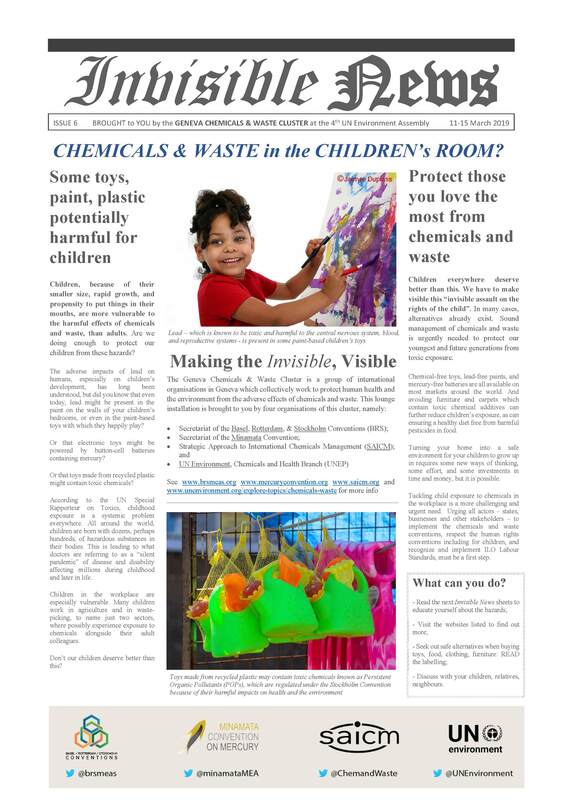 Jointly produced by the BRS Secretariat, the Minamata Convention, SAICM, & UN Environment Chemicals & Health Branch, the newspapers have proven popular with delegates eager to rest at the UNEA-4 chemicals and waste lounge installation “Making the Invisible, Visible”, located between the two main conference rooms. 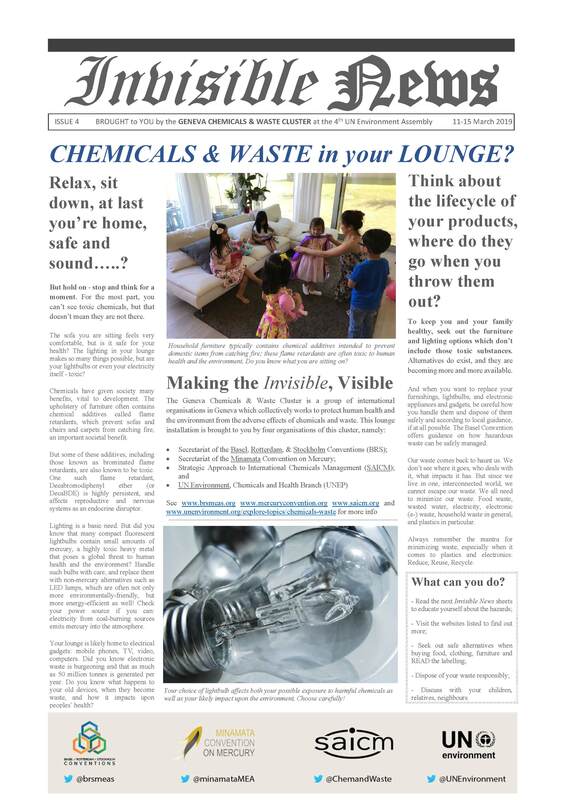 The lounge, made locally from recycled materials, has hosted special events – such as an informal gathering of dignatories and stakeholders to mark the 30th anniversary of the Basel Convention – as well as networking opportunities, and – frequented by hundreds of visitors every day - numerous conversations. 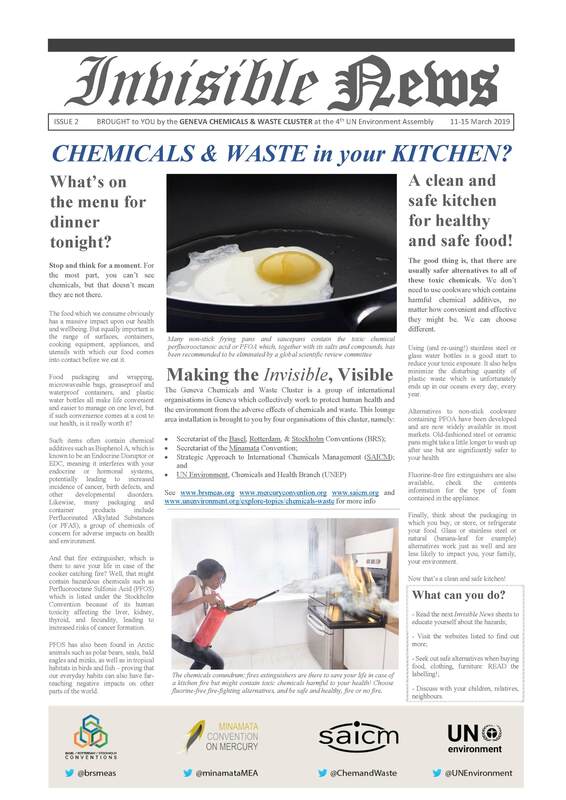 Invisible News, a special set of 8 editions aiming to raise awareness concerning the need for sound management of chemicals and waste, highlights the hazards found in a typical lounge, bathroom, bedroom, children’s room, kitchen and also on one’s dinner plate, as well as linking these to the wider environment, impacted by tosic chemicals and waste. 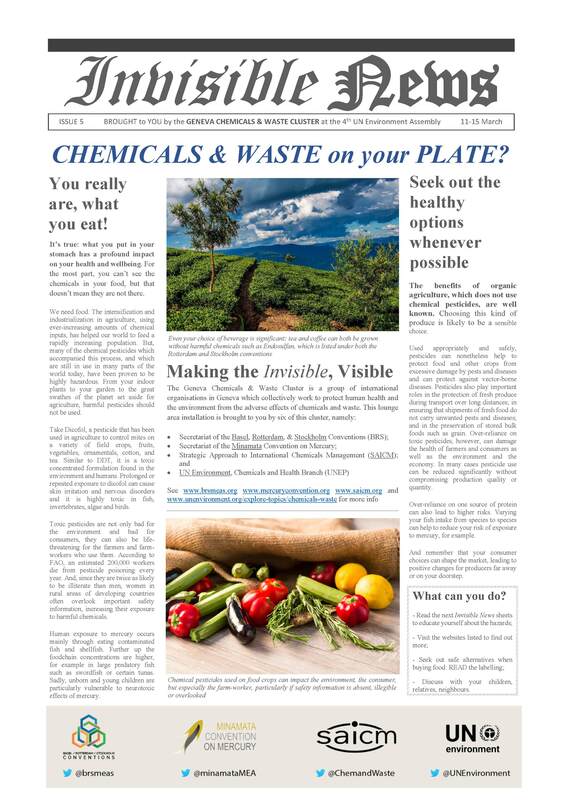 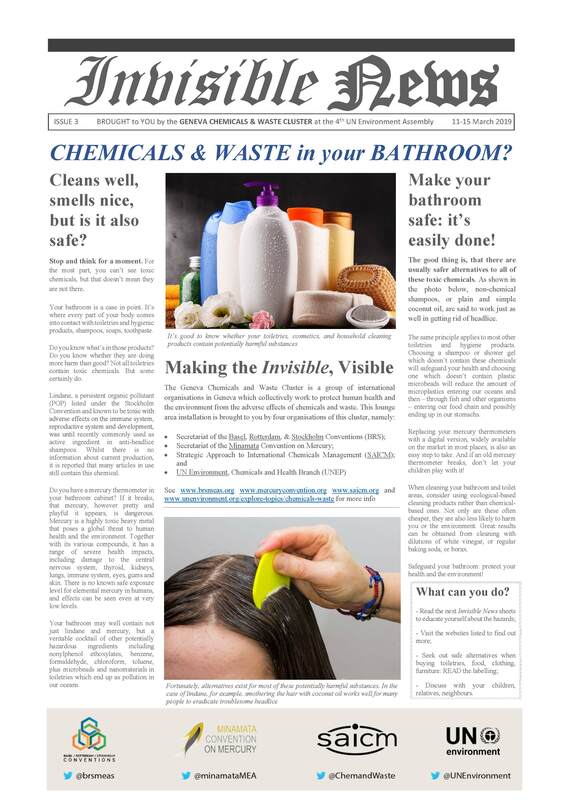 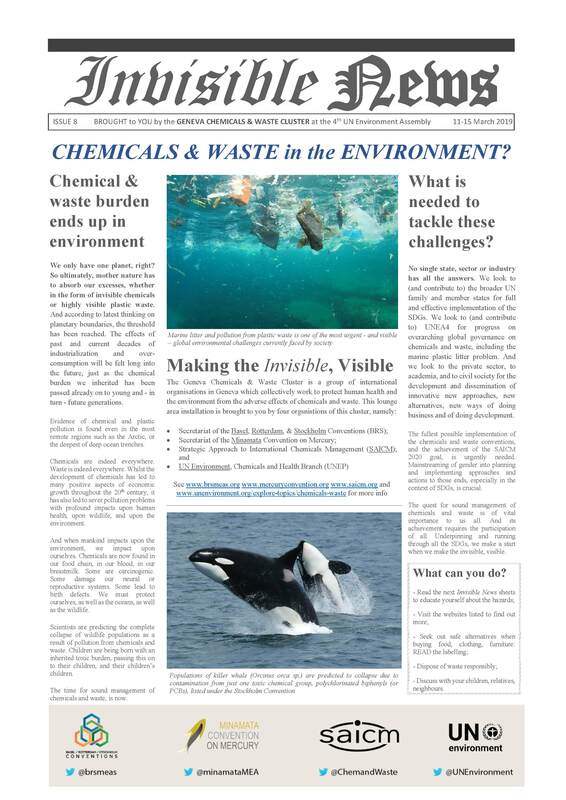 Invisible News notes the gender dimension in recognising that women and children are disproportionately more vulnerable to he adverse effects of toxic chemicals and waste than are men. 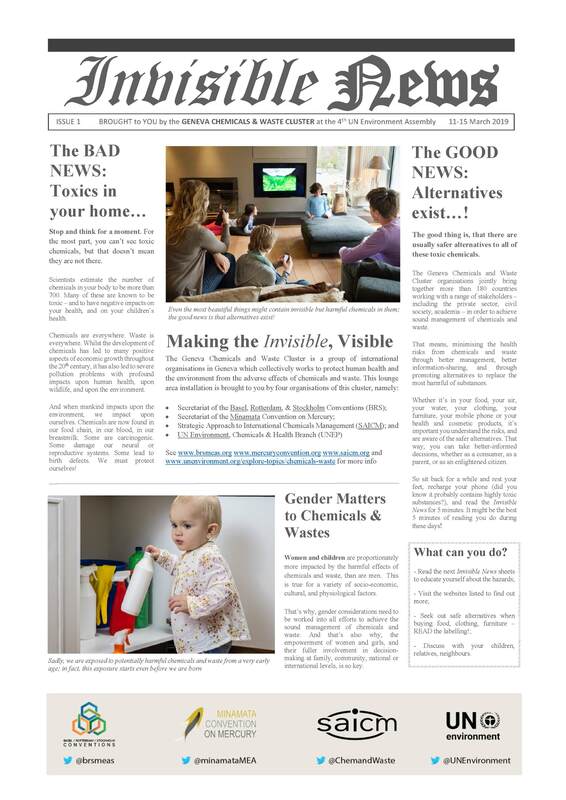 Click on the thumbnails below to see each issue of Invisible News.